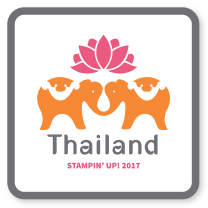 The exciting brand new Stampin’ Up! Annual Catalog is coming! It is a beautiful catalog packed with lots of new products. I’m hosting a catalog kickoff event on Sunday, June 3rd at my studio in my home. If you are local to me I hope to see you there – the details are below. It’s time for a brand new Stampin’ Up! Catalog! Join me for a Catalog Kickoff Party. Come by between 3 and 6 pm on Sunday, June 3rd. We will be playing with brand new products and colors from the annual catalog. Be sure to RSVP by May 30th so I have time to prepare everything for you.